Hello hello and happy UK bank holiday Monday and US memorial day and just happy Monday if like me you have been in work today! I have some really exciting things to blog about that I have bought recently-the beautiful YSL Swarovski crystal encrusted couture palettes, the Jo Malone limited edition Silk Blossom candle, the Kiehls new pore minimising cream and the YSL Kiss and Blush to name a few but I am going to be dropping off the planet for the next 7 days in preparation for my first exam-which I have a LOT to do for. I have a couple of pre-written posts scheduled but on the whole need to force myself to not get so distracted by ABSOLUTELY ANYTHING. Life is very much all work and no play at the moment and probably will be for some time given my exams (if I do actually pass) continue until October. But roll on then when we can have a nice long holiday! Am still undergoing medical treatment since I was sick a couple of weeks ago and hope to have a definitive diagnosis tomorrow morning-I seem to be keeping my doctors surgery in business! I don't usually post on a Monday but as it's a bank holiday in the UK I thought I would sneak in a 'Lip Six' post! 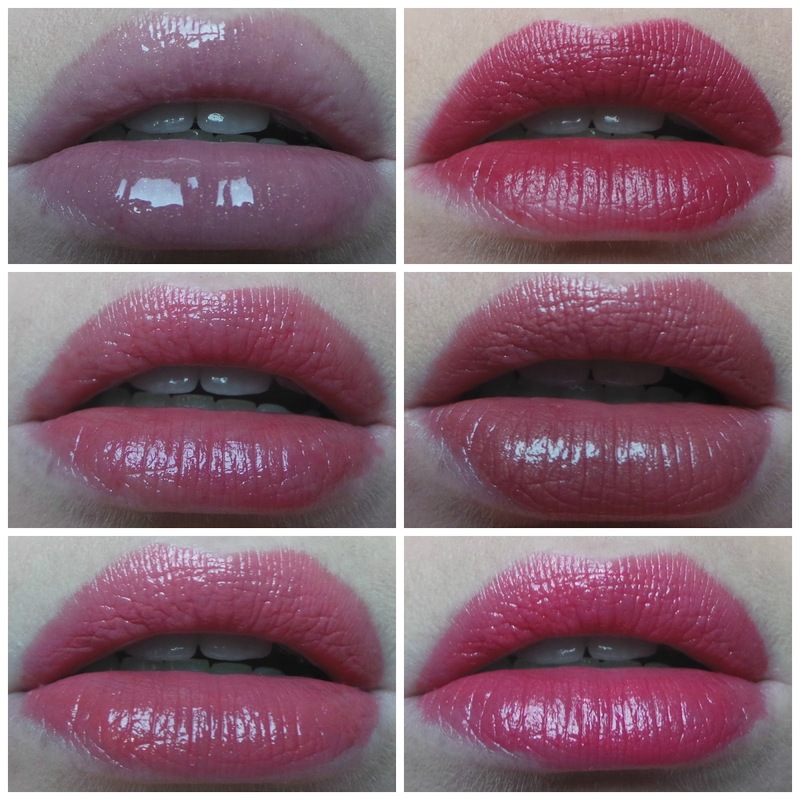 Here are my last six lip choices! I do like a pink lip! You always do such neat swatches!